Banff Gondola - a MUST-DO Top Mountain Experience in Banff National Park. Why the Banff Gondola is a MUST-DO while visiting Banff National Park? 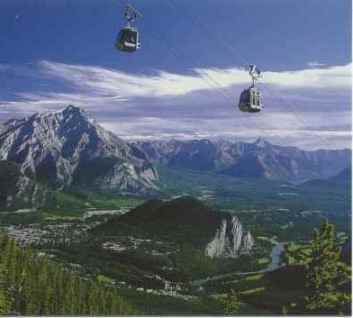 The Banff Gondola brings you THE BEST VIEWS in Banff National Park. It is very hard to explain in words how incredible the views are up there. If you really want to see the Best Views in Banff National Park you have two options. One, you can take the Gondola to the top of Sulphur Mountain. The second option is to hike up Sulphur Mountain. You should be able to do this in less than 2 hours if you are relatively fit. The Gondola provides a more panoramic experience while the hike will appeal to those more fitness oriented goals. 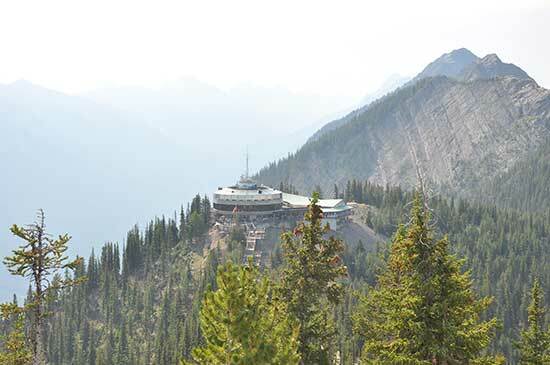 While you are riding in the enclosed gondola, complete with window view for each passenger, the views become increasingly spectacular as you climb 2292 ft to 7486 ft to the summit of Sulphur Mountain. The ride on the Gondola is the gateway to this unique year-around journey. There are totally different views in summer and winter. Both views are awesome and incredible. Once you get off the gondola, stand at one of the observation decks at Summit, you can enjoy 360 degree stunning views of six snow-capped mountain ranges. The Summit Complex and the observation decks are completely handicap accessible. You also can experience the dinning and shopping at the only restaurant at the top with great view. 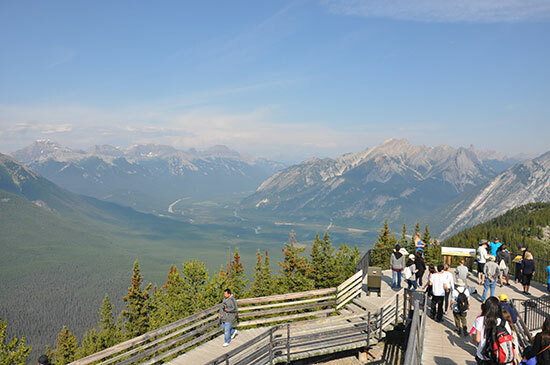 From there, you have the option of climbing another kilometer - Banff Skywalk - along the summit ridge that leads to Cosmic Ray Station National Historic Site of Canada, and the historic Sanson's Peak Meteorological Station. It is an easy and self-guided interpretive trail, and there are many more spectacular and impressive views! There is another option for more adventure hikers - South East Ridge Trail. It is a favorite among locals. It is a wild nature playground. You have chances to spot the local wildlife, including Rocky Mountain bighorn sheep, Golden mantled ground squirrels, Hoary marmots, Clark’s nutcracker and the Canada (Gray) jay. Go for a ride on the gondola to the top of Sulphur Mountain at evening, and experience Banff Alpine Lights - the most unique and interesting evening views of Canadian Rockies and the town of Banff. Banff Alpine Lights package covers Gondola ride and dinner, also offers live entertainment with local bands. If you are interested in, please click here for more details. If you truly want to see why so many people choose to visit the Canadian Rockies, this is the perfect place to start. Do not forget to bring extra cloth. Event in the middle of summer, bring a jacket as it will get chilly and windy up the top of mountain.